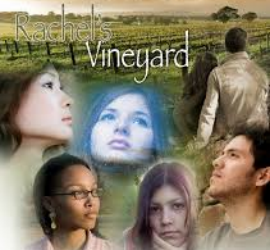 Married couples, mothers, fathers, grandparents and siblings of aborted children, as well as persons who have been involved in the abortion industry have come to Rachel’s Vineyard in search of peace and inner healing. The weekend is a lot of work but yields a fruitful harvest for all who are willing to labor there. To learn more, please read about our weekend retreats. Also, please see comments from people who have attended the weekend, as well as our explanation of the name “Rachel’s Vineyard”. Rachel’s Vineyard Retreat exists as an extension of the Church’s proclaimed mission of providing pastoral and apostolic activities that draw women and men burdened by abortion closer to God’s merciful heart. Rachel’s Vineyard Retreat is a Catholic retreat open to people of all faiths. It offers a safe and effective process in a confidential setting to bring the individual from brokenness toward reconciliation with oneself, with the unborn child, the family, the Church, and with God. The Bishop of the Catholic Diocese of Peoria has designated Rachel’s Vineyard Retreat as the leading model for post-abortion recovery for the area served by the diocese. The program will be viewed as the preferred method of post-abortion healing by both Catholic and other Christian individuals and groups, as well by those who serve in secular settings, such as counseling centers and student health centers. The Rachel’s Vineyard Retreat (RVR) will be understood as a unique model of healing for the whole person, addressing the emotional, psychological, and spiritual dimensions of the individual. It will be understood by the clergy of our diocese, especially, as a supplement to the sacramental and pastoral care they offer to their parishioners, and one that is structured around the Scriptures and centered on the Sacraments of Reconciliation and Eucharist. 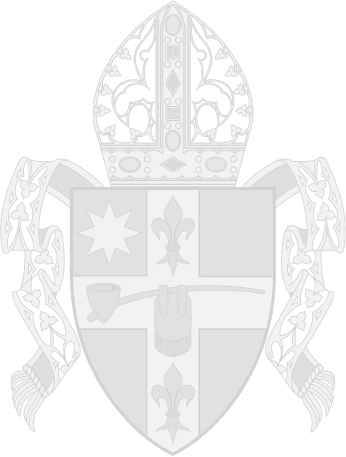 The retreat will be acknowledged as a reliable resource, with excellent staff formation and preparation in the retreat process and in Catholic doctrine. RVR will be well funded by the diocese and able to grow and change in response to the particular needs expressed by those we seek to serve. RVR will work in cooperation with other post- abortion healing models developed within out diocese, enhancing their efforts as much as possible. Lastly, Rachel’s Vineyard Retreat will serve as a catalyst in the development of the Church’s mission to build a culture of life and to support marriage and family as civilizations of love. First, we want to assure you that no matter how alone, isolated, unlovable, guilty, and hurt you may feel right now, the people involved with Rachel’s Vineyard Retreat understand. Many have already walked a mile in your shoes, so to speak. Rachel’s Vineyard Retreat is solely a place of healing. There are no judgments. The retreat is held at the Spalding TEC/Cursillo Center in Peoria, IL. Each of the retreat team members has felt a strong calling to help others heal from the damages caused or associated with abortion. All team members are required to attend two retreats as participants prior to serving on a retreat team. Some of the retreat team members have experienced abortion in their past and, therefore, know you in a profound way before you even step through the door. And all retreat team members are desirous of knowing you as a healed person. Generally there is at least one priest present and another male team member who is not a priest. Yes, the men will also have attended the retreat previously as participants. Rachel’s Vineyard retreats are open to both men and women for abortion healing. As a female, it may be difficult to understand why men would be present at a retreat for abortion healing. Please understand that not all men are the same. There are men who truly love their children, wives, sisters, mothers, etc. They care and they have also suffered, in some way, due to abortion. There is a substantial amount of information specific to men and men’s healing from abortion on the Rachel’s Vineyard website page For Men. We will not go into great detail about what actually occurs at a Rachel’s Vineyard Retreat. You honestly have to experience the retreat to fully understand. What we will tell you is that you will feel anxious and nervous and kind of silly the first night. Everyone feels the same, even if no one will say so. The first night is primarily for settling in and meeting everyone, participants and team members alike. There will be opportunity for activities, discussion, and reflection time that serve to begin the healing process. The retreat will be one of the most profound times of your life. Confidentiality is a big part of Rachel’s Vineyard. You need not fear that your picture or name will appear for others to see. Your privacy, along with the privacy of the team members is strictly maintained. There are no cameras at the retreat. On the Sunday of the retreat weekend you will be given the opportunity to provide contact information so that those involved in your retreat may stay in contact with you afterwards. It is your decision how much, if any, contact information you wish to provide. Some give out their full name, address, phone number, and email. Others simply give their name and email address. And some individuals choose to provide no information. All are perfectly acceptable responses. You may still be feeling a bit overwhelmed and concerned about participating in a Rachel’s Vineyard Retreat. If that is true, please take the time to contact either Colleen or Cathy, the retreat coordinators. They will help guide you through the process and listen to you. Of all the things I could tell you about the Rosmini House and Rachel’s Vineyard Retreat, the most important is that if you have had an abortion or been a party to abortion, that type of action often leaves an emotional trail of destruction in its wake. Please take the time to heal and stop beating yourself up.